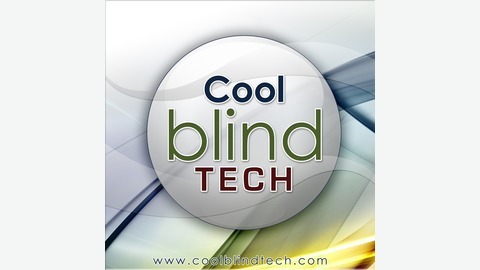 YOUR SOURCE FOR THE BEST ASSISTIVE TECH NEWS, REVIEWS AND INTERVIEWS FROM TOP BLIND AND LOW VISION EXPERTS. 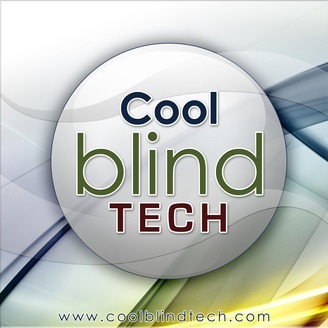 AN ENTERTAINING AND TRUSTWORTHY DISCUSSION ON EMERGING TECHNOLOGIES. Dive into this podcast to learn about the Qwerky Writer Mechanical Keyboard, a keyboard dedicated to those who want the greatest typewriter feeling under their fingertips at all times. Thanks to arrangements done by Qwerkytoys, what's reviewed here is of the latest QwerkyWriter S model. As you can hear, I could not be more than pleased with the design, build, and overall retro feel of this product. As you also hear, there are some some negatives, such as the right-shift key, but these to me have not detracted from using the device at all. While you can pick up another keyboard claiming a typewriter feel, I truly challenge you in these three qualities produced by the breadth of attention put in by the QwerkyWriter team. 4 connections at once. That includes a USB machine, and 3 over Bluetooth. At once, yes, you can have 4 devices at the same time and seamlessly switch among them. This can include a mix of mobile, desktop and gaming devices. Quality of build. These keys now use Cherry Blue switches, and beyond the one minor difference in my podcast, they are fully compatible with any key set you want to change it into. The customization is yours, and you get the superb clicky blue switches with a nice plating that gives it a typewriter clicking sound. I change my keys with the 104-key keycap set by Aukey to prevent the metal chrome on the original set from chipping in a non-portable situation that I'm using this keyboard in, such as my job. Finally, A stand which fits a Braille display. When it comes to both my Refreshabraille 18, and VarioUltra 40, this device will handle them comfortably. The Tablet stand, design to originally accommodate tablets fits Braille displays of many sizes and types. Let us know if yours also can fit in to the keyboard! I can use my displays slightly tilted with the cells towards me to read off any text as I type on the keyboard, increasing productivity. I definitely don't need a combined solution for a premium price, no sir, it's part of my keyboard. Overall, I could not be more than satisfied with the feel of each key, as they are consistent among presses. The entire plate of this QwerkyWriter is metal, and it is noticeable in quality to keyboards I previously tested. I'm confident that this keyboard will last me for years to come, and that it is a worthwhile product for many people, thus I bring this review to you as a journalist and professional.